This new wood print of mine is a „lost“ wood print. Its a five colour cut, but I have used only one plate of wood: Cutting, Printing, then cutting again and so forth. Into the top of the plate I have inserted two nails, so the second, third …. print goes onto the identically part of the paper – because of the holes, the nails has made into the paper. 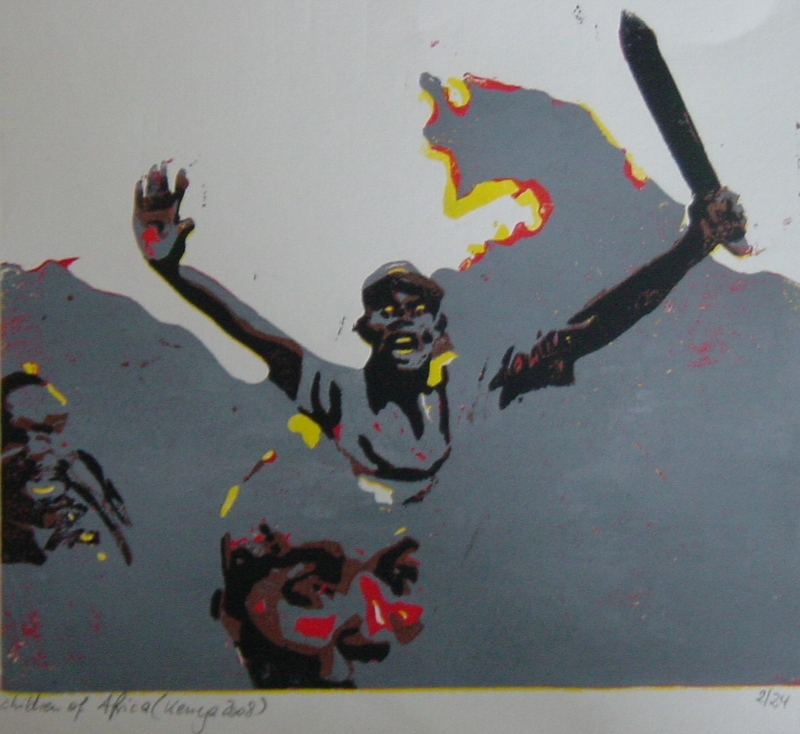 The base of this wood cut is a photo, shot within the riots of kenya at the beginning of 2008. The boy – not older than 15, 16 years – is so proud for his machete. Why seed the leaders in the heads of their children so much blazing hate?